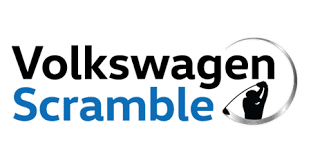 We are pleased to announce that we will be running the Volkswagen Scramble in conjunction with the Presentation Day BBQ scheduled for the 16th February. The Scramble is an Elimination Ambrose event with teams of 4 players (female, male or mixed). Please ensure you are aware of the Conditions of Competition prior to registering for the the event. The cost to participate in the local event is $39.50 per person. The Club will rebate $5 to every participant via their prize account. 8 members will be drawn out to play in the Mayors Charity Gold Day on the 1st March 2019 in the afternoon tee time. The winning team of the event to be held on presentation day will be eligible to participate in the regional final to be held in March 2019. We need to have 48 participants for a team to move to the next round. With 108 participants we are able to qualify two teams. A PGA Club Professional joins each qualifying team to form a five-person team that will compete at a leading course. The Regional Final winning teams have the chance of a lifetime to play with a PGA Tour Professional at Novotel Twin Waters Resort & Twin Waters Golf Club, one of Australia’s premier golf resorts, set up in full tournament conditions. The Club's Annual Prize Presentation and BBQ will be held following the Volkswagen Scramble has completed and is expected to commence around 12pm.